Our group was contacted by the owners of this business to investigate a possible haunting in the shop. The owner claimed that all kinds of strange occurrences have been happening on the property. 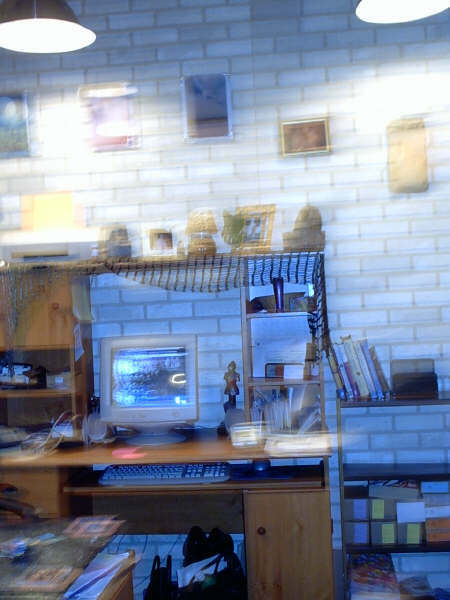 The owner claimed to have strange feeling when in her office and at one point, the owner claims that the lights in her office started to getting bright, then went dim, then bright, then dim, then they started flickering, she then claimed that there was a strange buzzing type energy in the air. At this point the owner took her camera and started taking photos of her office. After talking to the owner and viewing the photo, we decided to do an initial pre-investigation of the grounds to see if we could detect anything. While walking the grounds of the premises, one of our investigators visually witnessed an orb floating in the basement.... this was enough to warrant a full Investigation. 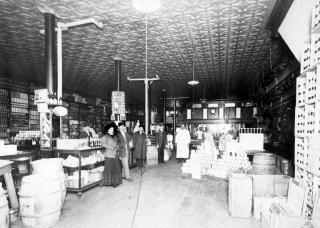 From Adams to Warner, many names are associated with the history of business in Beloit, and not least among these is the name McGavock. From the 1860s to the 1950s, whether the talk was about railroads, groceries or lumber, the McGavock name was sure to come up. 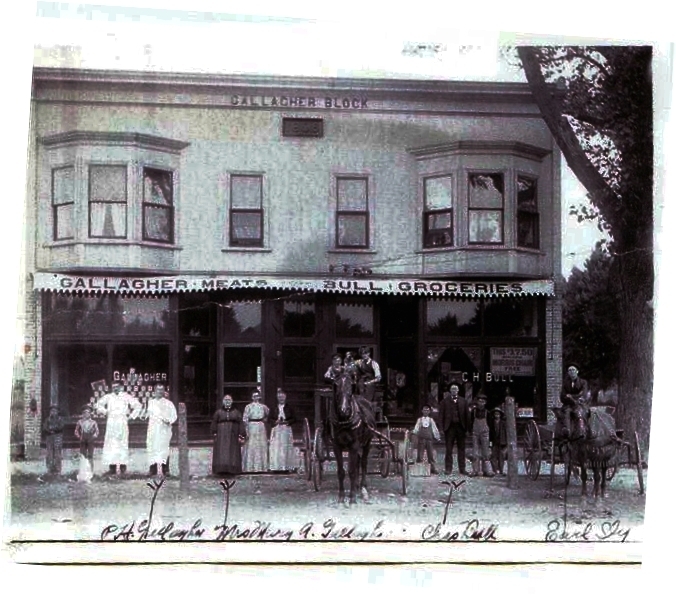 The McGavock's association with Beloit began with the arrival of Hugh Sr. Born in 1828 in County Antrim, Ireland, he immigrated to the United States in 1847 with his parents, three brothers, and two sisters. The land that Hugh Sr. and his family farmed eventually became important additions to Beloit's west side. The area bounded by Hackett, Portland, Eighth, and St. Lawrence was know as "McGavock's Forty,"
and here he grew tobacco and dried it in sheds that were located at 10th and Roosevelt. Mr. McGavock's house still stands at the corner of 9th and Roosevelt. The land on which St. Jude's Catholic Church stands was a donation from Hugh McGavock, a devout Catholic. The current offices of the Beloit Historical Society are located in McGavock's 3rd Addition, and in all there are 6 McGavock additions on Beloit's west side. There are few today who recall that within living memory the worst epidemic in U.S. history occurred. As World War I raged across Europe, the autumn of 1918 saw the world swept by what became known as the Spanish Influenza. Estimates of how many people died from the disease world-wide range from 20 to 40 million, and in the United States alone over 25 million were infected, with over 670,000 dying. From the end of September 1918 through the end of the year, Beloit had over 5,000 cases of the "grip" as it was called, and over 100 deaths. Symptoms of pain, fever, and general malaise would come on suddenly, and in a quarter of all cases pneumonia would develop. As temperatures soared to 105 degrees, lungs would start bleeding, a horrific, blood-filled cough would ensue, and patients would literally drown in there own body fluids. It was a gruesome death. When we arrived at the little store, we began taking equipment readings and setting up equipment. We noticed that the main area of the store was setting off our EMF detector constantly without fail. Obviously a lot of electromagnetic energy located in this area...probably from the number of lights in the store...we would classify this as "Normal" energy. We began setting up several video cameras around the store...one in the office, two in the basement one with night vision and one without and one in the hallway that leads to the apartments upstairs. So we began monitoring the premises. Nothing of any consequence happened throughout our investigation...at one point we even talked to some of the tenants who lived above the store who claimed that strange things seemed to happen sometimes in their apartment. We took some photos of their apartment and noticed some red colored energy patterns showing up in the children's back bedroom. Strange energy patterns kept showing up in photos taken at the end of the building and on our equipment when taken to the back of the building...this is the same thing that the owner had noticed in her office, which is located in the back of the building. After 4-1/2 hours, all of our batteries for our equipment, cameras and energy in our bodies were completely drained. We packed up and took our leave. Later, when viewing the video from the night vision camera set-up in the basement, very close to the area where we visually witnessed the floating orb, a light in a back workshop turned on all by itself without anyone around. We were intriqued by this so we called the owner to see if she had some kind of timer set-up for this light to turn on...she replied, "No". We went back to take a look at the room to notice that the light that had turned on did not have a wall switch, only a pull string. With the amount of energy swarming this place there can only be a couple of reasonable explanations. The first and most reasonable explanation could be that there is a problem with the electrical system in the building...but then what about the strange feelings the owner gets when in her office and the floating orb visually witnessed by our investigators...All living things have a "Life Force". In human beings their "Life Force" is considered to be their Soul or spirit. The soul retains the intelligence, emotions and personality of the human being. The "life force" survives death because Einstein tell's us that energy cannot be destroyed, only transformed. We have come to believe that the orb is the basic energy pattern of the spirit world and is the most common form taken. With this information presented, it is also possible that the energy being emitted in this area is paranormal in nature.